Today comes word that USI & Israel have decided who the next Interim Prime Minister of Syria will be even though Assad, the current leader of Syria, is not yet in his grave. “Tel Aviv and the White House are pinching themselves in disbelief over their good luck with installing republican leaning conservative Dixie businessman, the congenial, Ghassan Hitto, as Syria’s new interim Prime Minister. Securing the key position for Mr. Hitto, a decision made last year, was not so easy and had to be approached gingerly. But finally, after weeks of sometimes intense debate within Syrian opposition circles, Washington, Ankara, Doha and Tel Aviv among others, managed to appoint their preferred guy. “The White House thought Hitto was the best of a bad lot”, one Congressional committee source, whose work load includes Syria, explained to this observer. “Bottom line, he’s an American, nearly thirty years here makes Ghassan one of us. And who cares if he came here as young man to dodge military service in Syria. This damning admission, before Assad has been killed or captured, amounts to pouring molten lead into an open wound. With this blatant insult to the wider-world USI has targeted any legitimacy in all governments anywhere on earth. The implication being that only they can decide who gets to rule over whatever nation they decide to target for destruction or absorbsion. USI, in obedience to Israel, has targeted any legitimacy in all other governments anywhere. If any people on the earth are ever to be able to control their own destinies again, the USI & Israel must be dealt with, and dealt with as the outlaws they have always been! What’s happening in Syria is a rerun of what we did when we captured Mosaddegh in 1953, in Iran. Mosaddegh was formerly the democratically elected leader of Iran. BP the CIA and Iranian Oil colluded to change all that. We did that. Then with total confidence we continued knowing that no one could or would challenge us—and we got away with it. The CIA replaced the legitimate-leader of Iran with a character they invented: The so-called Shah of Iran. Mosaddegh died in US captivity three years later. Meanwhile our puppet, The Shah of Iran, ruled from 1953 until 1979 when he too was overthrown. The Iranian Revolution that followed was won by Ayatollah Khomeini, the founder of the Islamic Republic of Iran. The international-criminality we committed in 1952 was done by USI. Now we’re trying to do the same thing to Syria to serve the interests of the bloody fangs & claws of the outlaw-state of Israel. Speaking of Iran: Israel has given Iran three more months to surrender to their illegally created outlaw state or face extermination. This insult to international law must be halted by forces that will defend what’s left of Syria. Who knows maybe Russia and some of the other elements that have kept Syria alive to this point might choose to use this INTERNATIONAL-INSULT to stop the world-wide butchery of other nations by Israel & USI? The distain for the rest of the world shown by the arrogance and global-greed of Israel, as it’s being enforced by USI, is an international outrage and must be interrupted before this cancer spreads any deeper into anywhere else in the Middle-East, or the world. Neither Israel nor USI have been able to finish dismembering Syria: Despite their clearly criminal actions which were led by mercenaries and bandits from all over the area. These actions need to be met with lead, phosphorus and flames equal to the removal of this self-proclaimed victory, even before this phony-war which we initiated against an entire nation of people that only wanted to be left alone! Giant gaps have been created in the so-called global-security of the New World Order, and all its’ criminal underlings. The time has come for the world to RISE-UP against these global-butchers and begin to throw them from their self-created positions around the world. 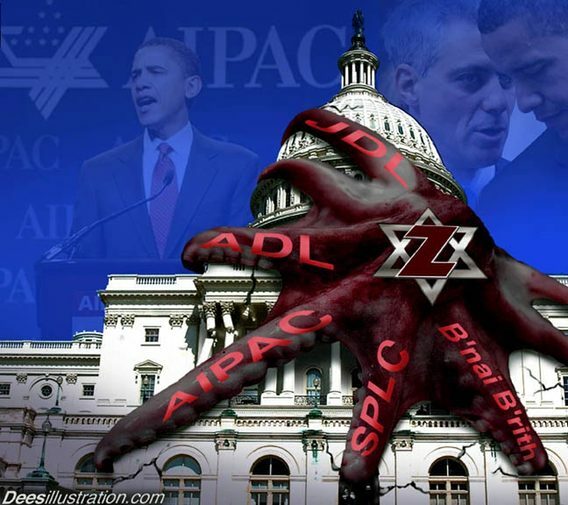 In the USA the Zionists have taken over the entire government. This morning comes the news that three Zionists in the U.S. Treasury are demanding new rules for even more control over every aspect of the web. “A BACK DOOR INTO INTERNET CONTROL has finally been weaseled into by the Jews at the US Department of Treasury. For no sooner did the Jew, Jacob Lew, take charge of the Treasury, controlling the Internet became his very first order of the day. With his fellow Jew, Neal Wolin, Deputy Secretary of the Treasury, along with (yes, Jews) David Cohen/Daniel Glaser, Under Secretaries for Terrorism and Financial Intelligence, Lew decided that money laundering rules should apply to all Web Money…including the growing Internet trading privacy-oriented currency known as Bitcoin. Glaser, as policy maker for “anti-money laundering,” oversees the Treasury’s Financial Crimes Enforcement Network (FinCEN) which published this past Monday a ‘guideline’ for Internet sites that use virtual currencies such as Bitcoin to comply with the Treasury’s Bank Secrecy Act. This Jew-inspired ‘guideline’ is aimed at fitting “de-centralized virtual currencies” into the larger regulatory regime under which government-controlled currencies of all kinds are required to operate. These ‘officials’ are Zionists, not Americans. Why can’t the 340 million Americans find enough Americans to fill our government agencies and government positions without deferring to anti-American Zionists? Who exactly appointed the Zionists to totally dominate the United States from every official agency, industry and enterprise? Obama is not American. His polices and politics are aimed only at ending this nation; not protecting it from any threat. Israel is an out-of-control barbaric-backwater that has appointed herself to decide who lives and who must die on the planet today. Why will Americans not change this? In Egypt the promises they made to the public turned out to be blatant lies. They also allowed the Egyptians to hold free elections and they allowed the Muslim Brotherhood to come to power—that was really stupid! They screwed up the entire invasion of Libya by showing the world that we were using NATO the UN and criminal mercenaries to destroy a country that had not attacked anyone at all. Libya at the time was trying to alter the whole of North Africa with free pristine ice-age water which would have turned North Africa from a desert into a forested-garden. Libya was building that pipeline when she was attacked. Libya was also developing a common currency backed by Libyan gold that would have freed all of Africa from the Rothschild’s bankers. Libyans were some of the most highly educated people in the world. Free education and health care as well as a real-future awaited Libyans, as long as they could keep their country. All that’s left there now is a burnt-out ruin—a monument to global-terror and ritual slaughter, brought to the world by USI & Zionist Israel. Of course there is Iraq! Twenty years of bombing. Massive societal destabilization, an anarchist’s dream, which has left only ruins everywhere. Iraq is without drinkable-water or functioning electricity. There is no useable land, and what’s left is polluted by nuclear-wastes, in a continuing-sectarian war that seemingly has no end. The people of the United States need to clean-up the USA. Those with government jobs must prove to the people of the U.S. that they are in-fact Americans first, and are not in reality traitors to this country! Beginning with Barry Soweto, who calls himself Obama. Every declared Zionist in the government needs to be arrested and held in isolation until they can prove their loyalty to the United States of America. The same is true of all Israeli’s who are government employees that are also hyphenated Amerikans. This would be an excellent use for the FEMA CAMPS that should be able to hold them all during their brief but very informative-interrogations. Americans should make use of the RICO-Act to strip these PRETENDERS of everything of any value which they own anywhere, so that the guilty will be left only with the clothes on their backs. After this formal investigation those found guilty need to be deported; no need to waste more time or money on obvious traitors. The guilty can either be deported as enemy-aliens, or face a firing squad if they chose not to leave. This would cleanse this place of a huge cancer within our body-politic as a nation. From there, America could begin to move forward: Free to pursue life, liberty and the responsibility required to pursue happiness with a restored constitution. The Declaration of Independence could again direct the public’s attention to the ABSOLUTE NECESSITY to print and distribute our own money! All the anti-American agencies that serve foreign governments, without having registered as “AGENTS OF A FOREIGN GOVERNMENT” - must face arrest and investigation. This includes AIPAC, JDL, B’Nai B’rith, SPLC, ADL, and the likes of the Simon Wiesenthal Foundation and on and on. The full list is huge. Time, as well as space, is short! Wouldn’t something like THIS be worth doing!